The monarchs that overwintered in Mexico are in the final month of their lives. How far north will they travel? 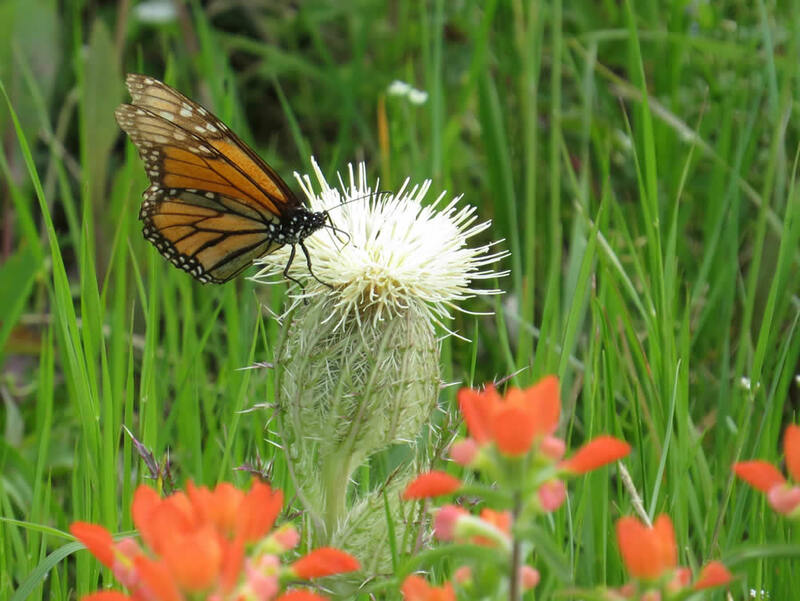 News from the west: "We have monarchs!" “The males sailed around everywhere and nectared from yellow thistles and other wildflowers. They too rested at times and were also looking for females,” reported Kathy Metzger of Montgomery, Texas on March 29, 2019. The migration’s leading edge remains where it was last week, poised to enter Kansas at latitude 36°N. Cold temperatures held the butterflies back. 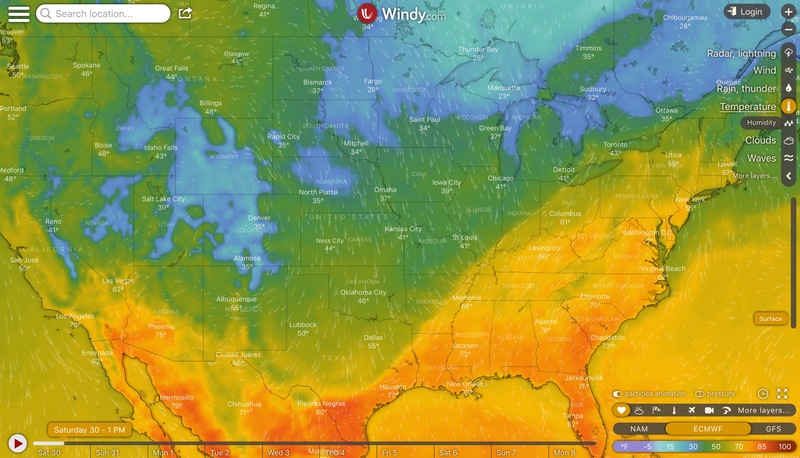 You can see week-by-week changes on the migration map. (Touch the color key to select dates). How far north will the monarchs from Mexico travel? Most will remain in the southern US, laying eggs where it’s warm and the offspring can develop into adults quickly. But a few will keep moving northward, like the very brave butterfly that traveled to Champaign, Illinois. That’s 300 miles ahead of any other sighting and 1,500 miles from Mexico’s overwintering region. What are monarchs doing right now and what can a person observe? JN volunteer Kathy Metzger has been collecting observations in Montgomery, Texas. On March 28th, she counted 446 eggs and 38 larvae on 201 milkweed plants. Many observers are reporting high levels of egg-loading this year, perhaps because last winter’s population was large and so monarchs are migrating up from Mexico in unusually high numbers. Please Keep Reporting: After you report your first sightings, continue to report all monarchs (adults, eggs and larvae) that you see. When you see a monarch, we want to know. As scientists work to understand the monarch’s complex annual cycle and conservation needs they have help from a continent-wide network of citizen scientists. Journey North participants are key players. Here are some of the scientific publications that have utilized observations contributed by our volunteers. Thank you!